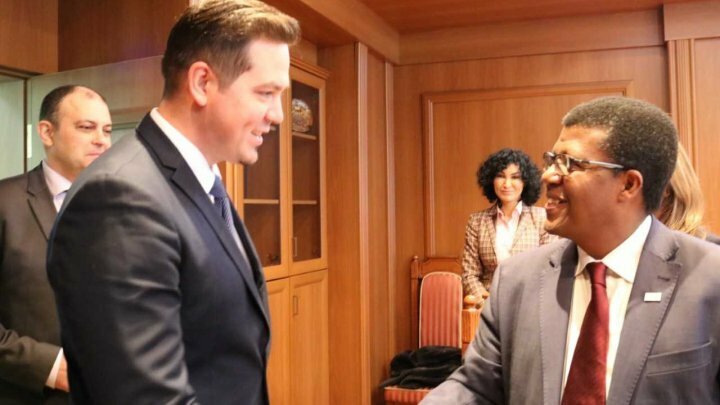 Minister of Foreign Affairs and European Integration, Tudor Ulianovschi had discussion with the Deputy Director of the UN Population Fund (UNFPA) Dereje Wordofa. The elites referred the cooperation of the Republic of Moldova with the UNFPA, based on the priorities stipulated in the UNFPA Country Program for 2018-2022, the successes and challenges of the Moldovan Government in the process of nationalization Sustainable Development Objectives 2030. During the discussion, officials reviewed the main projects carried out by UNFPA in the Republic of Moldova, with priority to demographic policies, youth, gender equality and sustainable social development. In this context, Minister Tudor Ulianovschi highly praised UNFPA's work in the Republic of Moldova, especially welcoming the recent approval by the UN Office for South-South Cooperation of the project. "I am confident that this joint project will contribute to the creation of an efficient interoperability platform for administrative data exchange between central and local public authorities in order to implement the 2030 Agenda in our country," the head of Moldovan diplomacy said. Another topic addressed during the meeting was the creation of an online educational platform in the Republic of Moldova, which would allow the connection of the school institutions in the country to a common network, giving them access to information resources and online study programs. Dereje Wordofa praised the efforts of the Government of Moldova in this regard and expressed the willingness of UNFPA to examine the possibility of identifying donors for the materialization of this project.